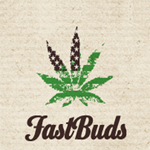 Fast Buds - Mexican Airlines. Free US delivery. Mexican Airlines is a hybrid of Mexican sativa, Columbian and our Ruderalis. With the highest prevalence of sativa, which is very rare for auto-flower , we reached very high results in its productivity. The effect is very arousing and creative. This strain deserved its name. After smoking Mexican Airlines, you will be taken to the hot beaches of Cancun momentarily.